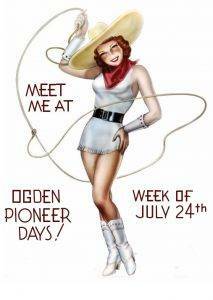 The Ogden (Utah) Pioneer Days celebrated its 83rd year of existence in 2017. The event came a long way since its inception in 1934, when Ogden Mayor Harman W. Peery organized a Western festival to boost the spirits of the locals and entice tourists to visit the city. The rodeo officially began following the Great Depression, as a way to boost community morale. It evolved into a rodeo which has been recognized among the Top 5 in the best large outdoor PRCA rodeo category several times, and has a strong fanbase which supports the event every year. However, the Ogden Pioneer Days is more than just a rodeo – it’s an event that has become a Utah staple every third week of July. It includes concerts, parades, farmer’s markets, and, of course, the rodeo at historic Ogden Pioneer Stadium. According to committee members of the Ogden Pioneer Days, it’s the largest celebration in the state of Utah. 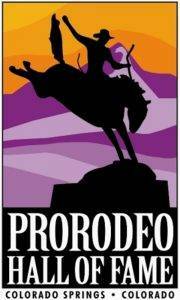 The entire committee and community takes great pride in the rodeo, which was a cause of plenty of jubilation when the ProRodeo Hall of Fame came calling.